The limequat is a fruiting tree that doesn’t get quite as much press as its citrus cousins. A hybrid between a kumquat and a key lime, the limequat is a relatively cold hardy tree that produces tasty, edible fruits. 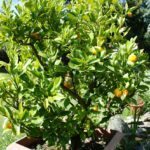 Keep reading to learn more limequat information, like limequat plant care and how to grow a limequat tree. What is a limequat? A limequat (Citrus x floridana), as previously stated, is a fruiting tree that is a hybrid between a kumquat and a key lime. It is more cold tolerant than most lime trees, but a little less so than most kumquats. It can usually survive temperatures as low as 22 F. (-6 C.), and it can sometimes survive as cold as 10 F. (-12 C.). That being said, it is mostly a heat loving plant that thrives in tropical and subtropical climates. It is native to and especially popular in Florida, where it is used to make limequat pie. It is a relatively small tree, usually reaching no taller than 4 to 8 feet. 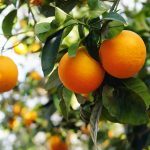 Limequat trees perform well in most types of soil and prefer full sun to partial shade. An ideal spot will protect the tree from the hot western sun in summer and the cold wind in winter. Limequat plant care is relatively easy, as long as you keep your tree protected from the cold. The best time to plant a limequat is in early spring. Plant your tree directly in the ground or in a container, and water deeply every other day for the first several months to ensure good root development. After that, water only when the top inch of soil is dry – every week or so. Reduce watering even more to once every two weeks in winter. Limequat fruits are usually ready for harvest from November through March. The fruit is usually picked green, then ripens to yellow on the counter. Its taste is similar to a lime, but with more of a bitter flavor. The entire fruit is edible, including the skin, but plenty of gardeners choose just to grow limequats ornamentally. Read more articles about Limequat.